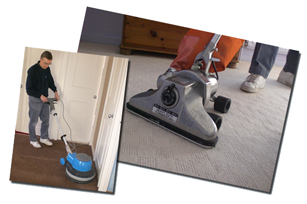 By using the highest quality equipment and utilising the very latest techniques, our carpet cleaners will ensure your carpets are revitalised and subsequently stay cleaner for longer. It is this level of end result that has seen our reputation within the industry grow and the satisfaction of our customers be at an all time high. How We Get Carpets & Rugs So Clean? 1. Our effective cleaning methods mean your carpets will be dry within an hour and will be left good as new. 2 Our Fabriguard treatment ensures any accidental spills aren’t going to permanently stain or damage your carpets. 3. To ensure there is no damage such as shrinking or worn away seams, our carpet cleaners don't use large levels of fluid, which helps minimise the drying time of the carpet. 5. We carry out effective stain removal treatments for affected areas. 7. Your carpets will be left clean and fresh once our rotary machine extracts all the dirt as well as the residue from the cleaning products. We guarantee that your carpets, furniture and upholstery won’t be damaged through soaking, shrinking or stretching. If a stain can be removed, we guarantee to remove it. If we fail to do this but another contractor does, we’ll return your payment. After carrying out our standard cleaning processes, we guarantee your carpet will be completely dry within one hour. 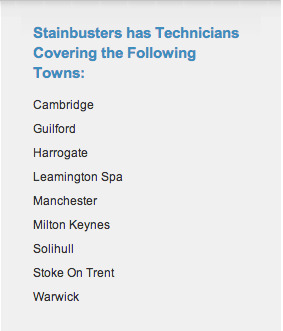 We guarantee that there in no-one better than the Stainbusters’ team for carpet, furniture and upholstery cleaning. Call us today on 0800 13 7772 to enquire about our carpet cleaning services or alternatively receive an email quote by filling in our online form.